Today (November 1st, 2016), we have listed 9 new Acura NSX ads to our site. These listings span 9 different states and 6 model years. 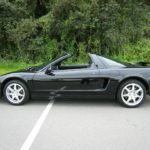 I have decided to let go of my 1991 acura nsx. I have maintained this car meticulously over my ownership, and it is in great condition. 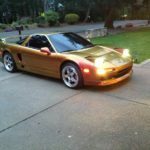 I have the build receipts for the motor, which includes: Motor build.…….. 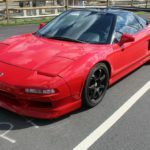 This is a very amazing car very low miles always garage kept over $ 30k in paint work this nsx was on the cover of dupont registry magazine , this nsx has full stock motor but does have upgraded race dual clutch……..
3.2 v/6 6 speed with 78k miles. T-told. All stock. Looks brand new in and out. Garage kept. Comes with brand new set of unmounted tires. Everything works with exception of ac needing charge. I own 2 nsxs..…….. This entry was posted on Tuesday, November 1st, 2016 at 7:14 am	and is filed under United States. You can follow any responses to this entry through the RSS 2.0 feed. Both comments and pings are currently closed.